Taking care of a righteous beard requires a great deal of work. You need to clean, comb, and trim it, but are you taking that extra step by using beard balm? 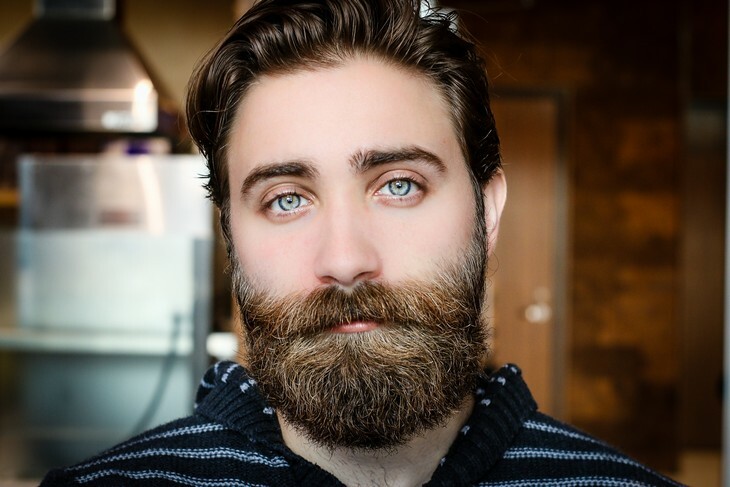 This is something that a lot of guys forget to do when it comes to keeping up appearances with the trusty old beard, but it makes a world of difference. Plus, along with keeping your beard nice and healthy, using some of the best smelling beard balm makes your facial hair that much more pleasing and attractive. Tons of companies have started creating their own balms for use with beards, and this has lead to a load of choices when it comes to the absolute best beard balm. While there isn’t necessarily one single balm that outperforms the rest, there are 5 really incredible choices that you can currently pick from that provide a whole lot of awesome that your beard will greatly appreciate. Following a healthy dose of research and real world testing, here are our top picks for the best beard balm that you can pick up right now. Liberty Grooming has created a heap of buzz among the men’s grooming community with its latest beard balm offering that’s referred to by the company as Virtu Beard Balm. Virtu is easily the most popular balm that Liberty Grooming currently has in its lineup, and it’s a pretty phenomenal product all-around. Virtu is made entirely in the United States, and some of the most prominent ingredients include Shea butter, beeswax, and a load of essential oils. All of these ingredients come together to create a fantastic scent, and while it’s now too strong, it carries very notable tones of the Earth and outdoors. Beeswax is the main holding component for Virtu, and this creates for a very light hold. Lighter balms are usually best suited for guys that are just starting out with beard balms, but Liberty Grooming says that this is also a solid option if you’ve had a beard for some time. The hold might be light, but this means that it’s secure enough to keep everything in place while also providing you with a bit of added wiggle room that you simply can’t get with stronger balms. Click here to read more about Beard Balm by Liberty Grooming on Amazon. The next product we’re looking at is a Grave Before shave beard balm — more specifically the Bay Rum Beard Balm. Grave Before Shave follows in the footsteps of Liberty Grooming by only useing honest, natural ingredients, and this is present with the all-natural oils and butters through Bay Rum. Grave Before Shave describes the scent simply as “Bay Rum”, and although it is a little bit stronger than what you’ll get with Virtu, that’s not necessarily a bad thing. Some customers aren’t entirely pleased with the scent of this one, but we personally fell in love with it. Along with the excellent scent, Grave Before Shave’s option also holds up incredibly well in extremely hot conditions. Hot weather is something that lots of beard balms often struggle with, but you won’t find any such issue with what Grave Before Shave has crafted here. This likely won’t be a big deal for our Northern readers, but if you reside more down South, this is going to be a huge game-changer. Click here to view Grave Bay Rum Beard Balm on Amazon. If you’ve had a beard for some time and have played around with some of the various beard grooming products, you’ve likely come across the Honest Amish name once or twice. 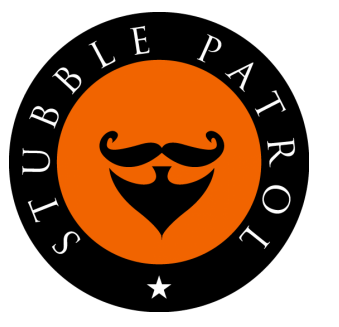 Honest Amish is a favorite among all of us here at Stubble Patrol, and the company’s classic beard balm still remains as one of the most solid beard balms that’s currently on the market. Made right here in the United States, Honest Amish’s beard balm is able to tackle coarse and rough facial hair and make it as soft as a baby’s bottom. This does a great job at reducing the amount of itching and dandruff that’s often found in longer beards, and it works fantastically through continuous days of use. In addition to the standard array of essential oils, Honest Amish also uses Shea butter, cocoa, aloe, and a load of other ingredients to make it’s balm smell amazing. You won’t find any harsh chemicals or phony fragrances throughout the makeup of Honest Amish, and this serious take to the all-natural movement is another reason why we just can’t get enough of this stuff. Urban Prince is somewhat of a newcomer to the beard balm game, but it’s quickly becoming a favorite among guys that have tried it out. Created by BushKlawz, Urban Prince aids your beard in three main ways — through conditioning, shining, and refreshing it. Putting up with dry and flaky facial hair isn’t fun for anyone, and Urban Price does a wondrous job at hydrating your hair so that your beard stays fresh, lively, and incredibly soft. Better yet, it also helps to promote natural beard growth by rejuvenating the follicles throughout your face. Did we mention the scent? Oh man, the smell of this stuff. There are lots of great-smelling beard balms out there, but Urban Price just might take the cake for being the best smelling beard balm that we’ve ever tried. It’s hard to accurately describe the smell of Urban Prince, but the best way that we can is by saying that it strikes an even balance of smelling masculine, sporty, sharp, and refreshing all at the same time. Combine all of this with elements that help to reduce itchiness throughout your beard, and you’ve got a real winner here. Click here to see Amazon's current pricing on Urban Prince Beard Balm Conditioner. It’s no easy task to follow up Urban Prince, but Rocky ﻿Mountain Barber Company’s beard balm sure does a fine job at doing so. You won’t find any artificial or unnatural ingredients anywhere in Rock Mountain’s beard balm, and the all-natural ingredient makeup is a really strong high point for this product. Cedar and eucalyptus are the two most prominent ingredients when it comes to the scent of the balm, and it presents an aroma that’s slightly masculine without favoring that scent profile too much. The hold of Rocky Mountain Barber’s balm is a bit on the stronger side of things, and while the hold is incredibly solid, it also does a great job at not making your beard feel greasy or nasty in the slightest. Trying to pick just one beard balm out of all of these options may seem difficult, and that’s honestly because it is. We’re really in love with all of the balms mentioned on this list, and you simply cannot go wrong with whatever one you end up getting. Our advice? Pick out a couple and try them out to see which one fits you best. Trial and error usually isn’t a fun process to go through, but we don’t think you’ll mind it when it comes to playing with these fancy balms.